The Green Party’s position on reform­ing marijuana laws is brief but also clear. The 2012 platform sums it up in 5 words, “Legalize possession of cannabis/marijuana.” The real discussion however should be ending prohibition of cannabis and hemp, for if we talk about “legalizing marijuana” it inherently implies it was never “legal” to begin with, and that is far from the truth. There existed a period in early American history when hemp farming was not only legal but also encouraged. And why would­n’t it be? This one plant is so versatile its uses include nutrition, medicine, paper, clothing, power machines and even fuel. George Washington grew hemp at Mount Vernon and it had such great industrial potential that Henry Ford built his first Model T Ford from plastic panels derived from hemp. He also designed it to run on plant-based fuels. So what happened? 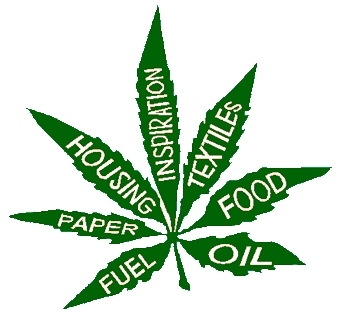 It turns out that even though hemp was widely farmed and used across the globe from as early as 8000 BC here in the newly formed America, the rich industrialists had much of their wealth invested in paper mills and printing presses designed to print news on tree paper, not hemp paper. This of course presented a problem for them, so they did what good American businessmen do, and lobbied Congress. Non-violent drug related offenses are the number one cause for incarceration in the United States. The U.S. is also the number one country in the world for imprisoning these “criminals.” The business of arresting and imprisoning these individuals is a boom­ing one, considering a growing number of U.S. prisons are publicly funded but privately owned. I’m not a habitual pot smoker. I am a concerned, informed, Green Party organizer and activ­ist. I have experienced the frustrations and limitations that are associated with building a movement around a specific issue, raising public awareness, and getting some sort of meaningful legislation passed. That being said, I believe the tide has turned in favor of ending prohibition of cannabis and hemp based on the very exciting recent accomplishments from grassroots activists in Colorado and Washington last November. Public opinion overwhelmingly supports reform of Marijuana law. Some polls indicate support as high as 90 percent. Con­gress has a current approval rating of 13 percent. Could there be a direct correlation that shows that our elected officials are not speaking to the issues the citizens of this country care greatly about? I doubt this is a coincidence. In my district of New York Greens are actively recruit­ing anti-prohibition candidates to run in local elections. We may not be able to outright revoke these troublesome laws on a local level, but with some creative language, and a little research, we have discovered that certain elected officials don’t need to EN­FORCE them. You can do the same thing. Find out when the next election is for Sheriff in your town or County. Find out what authority town supervisor has over police policy in your community. Run for office yourself or find someone who will. Make this critical issue a part of your campaign and get the word out that people have a choice. Let’s stop filling prisons with innocent recreation­al cannabis consumers. Let’s stop the tearing down of forests and digging of giant holes in the ground looking for fossil fuels. Let’s stop holding natural medicine host­age. Let’s restore some faith in democracy and end prohibition of cannabis and hemp NOW! I talked to an FBI employee about allowing marijuana for medical purposes be totally legal so that the FBI could concentrate on preventing violent crimes, i.e., 9-11 attacks, the bombings in Boston, shootings, etc., and she likes that idea. Absolutely. The usefulness of hemp is historical and proven. The social use of cannabis will continue regardless and, as known by many users and researchers, will contribute to no more violence or criminality than alcohol has. Positively, the use of cannabis in pain management and medical disorders is also proven. Most people who really understand flawed policies and problems with the law are excited about hemp, not cannabis. Those who want to use marijuana can go to Oregon and Washington, where recreational marijuana is already legal. But the big concern is with hemp. It’s a huge industry, so much potential, so many great products that could come from it… but it’s still federally illegal. Wake up guys, hemp is the next gold rush and the sooner it gets here the better.